When I was a child I would lie on the floor . . . watching with fascination . 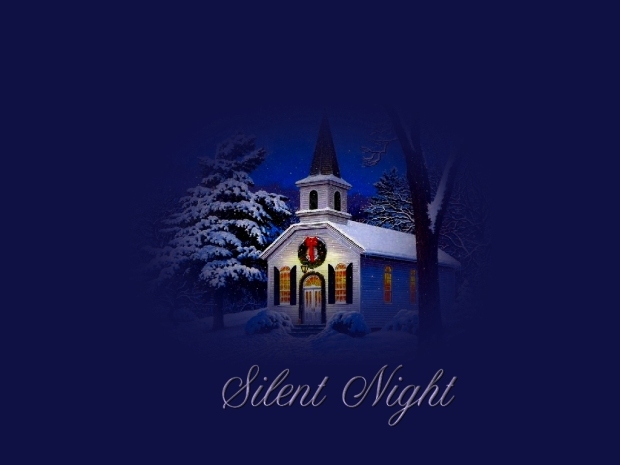 . . as the white flocked Christmas tree magically changed color from yellow, to red, to blue and to green, while the song Silent Night tinkled gently in the background. 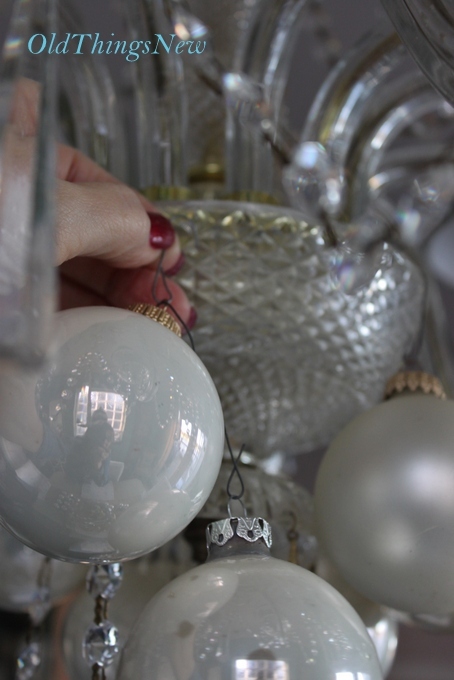 The shiny pink ornaments on the tree sparkled, also changing hue, as the color wheel went round and round. It was all a part of the magic of Christmas. I was secure and happy and still young enough to be unaware of things that were wrong in the world. As Christmas drew closer and closer I KNEW that something really special was about to happen. 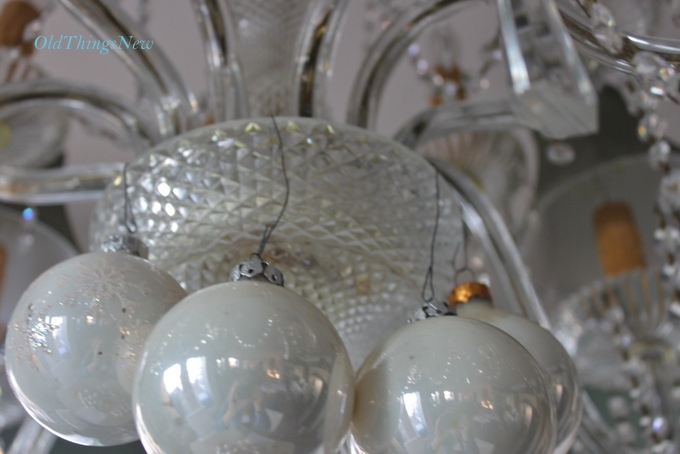 As I decorate for Christmas today I catch that magic feeling once again and I am content to hold onto it for just a little while as I forget the world outside my doors. 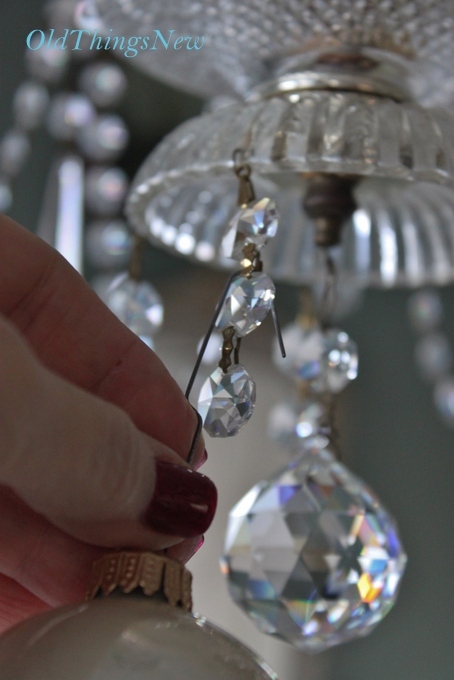 Last Christmas I decorated my crystal chandelier for the holidays and I got so many requests asking how I did it that when I took it down I took pictures backwards in order to share with you here. 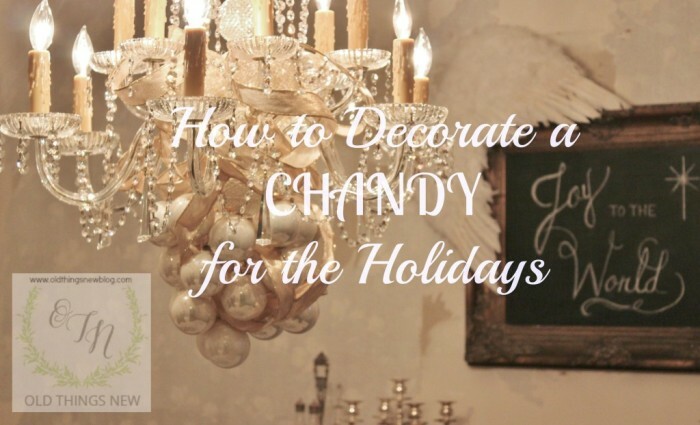 This is my step-by-step tutorial, How to Decorate a Chandy for the Holidays. 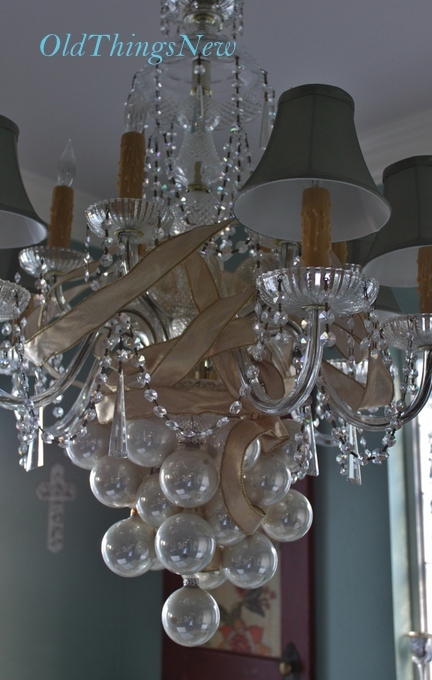 This is my chandy in our old house (fondly called the lake house) last Christmas. 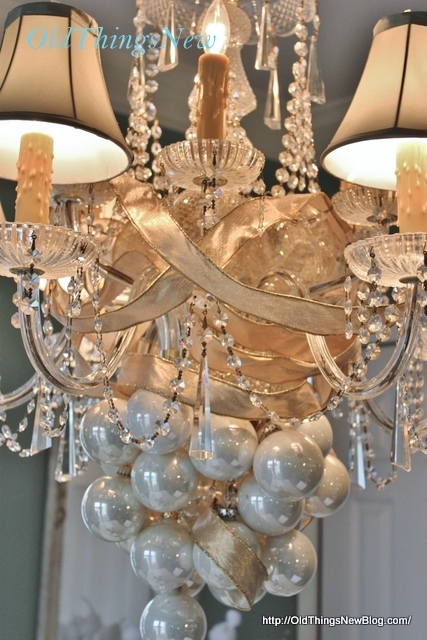 To see more angles and close-ups you can look back at my original post, A Fancy Christmas Chandy, HERE. And this it what it looked like undecorated. Note that the lights are turned off as we begin decorating as I wouldn’t want you to burn yourself! 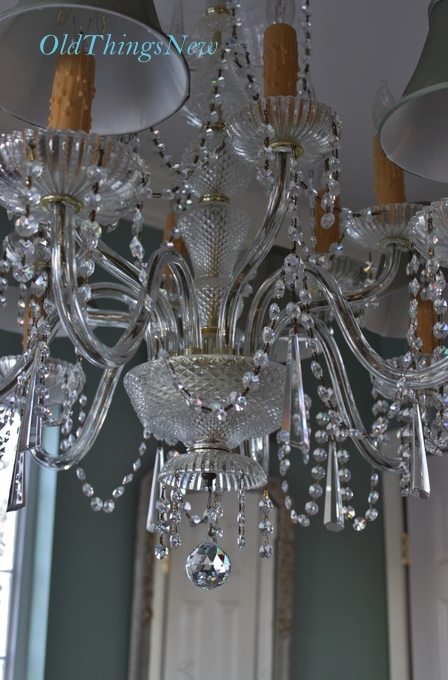 So, with a cool chandelier let’s begin. 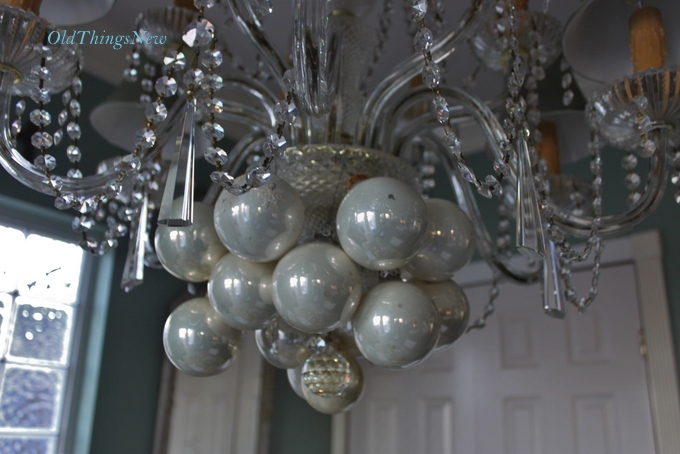 I started with some assorted Christmas balls that I found at our Goodwill Christmas Store and gold wired ribbon that I had on hand . . .
. . . and simply began hanging the ornaments around the bottom of my chandy in any place that I could find to hook them . . . some from the wires the crystals were attached to . . .
. . . some from the base of the chandy, etc. 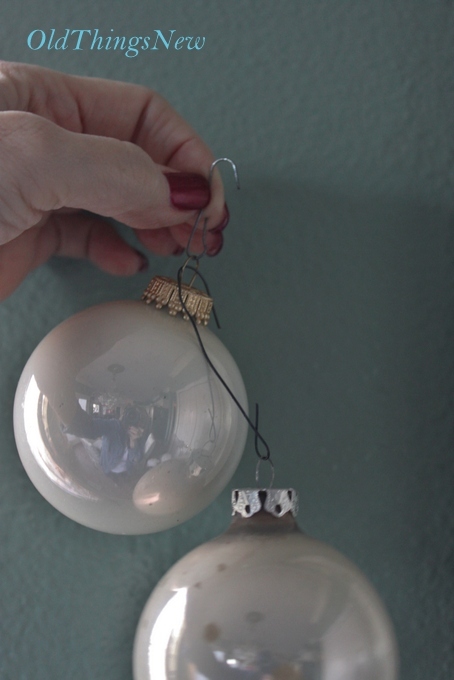 This isn’t at all difficult but it does require some care if you don’t want to break ornaments along the way (personal experience speaking here). 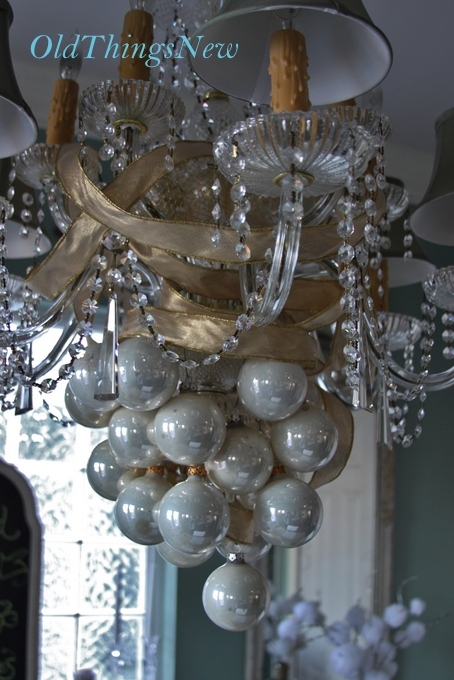 When I wanted to create length I simply hung one ball from another or used different lengths of wire to get the ornaments to hang at the desired length. You can see from the above picture that my Goodwill ornaments weren’t in perfect condition but not to worry. That will become unnoticeable once everything is in place. My ornaments weren’t even all the same, just the same colors.
. . . little by little . 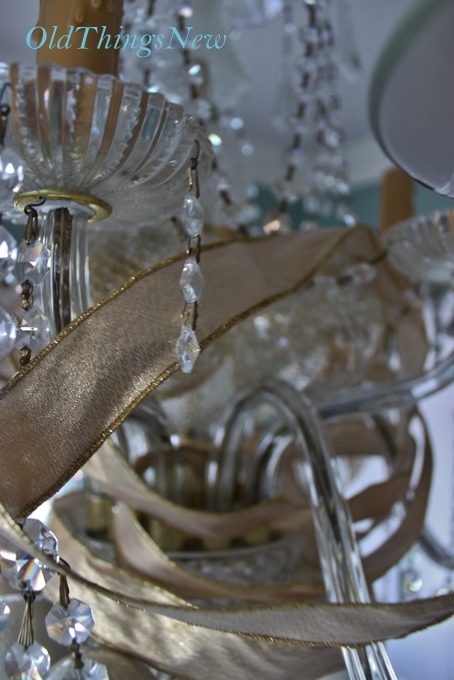 . . bit by bit . . .
. . . the chandy began to take shape. 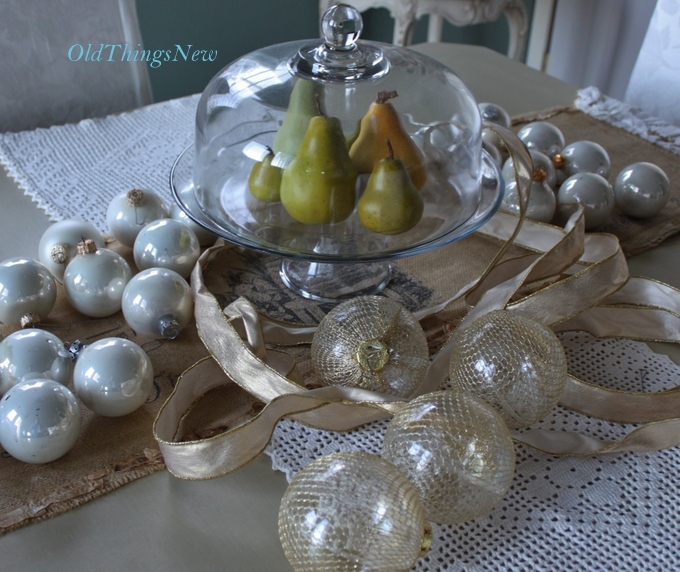 Once all of the ornaments were in place I added the gold accents. 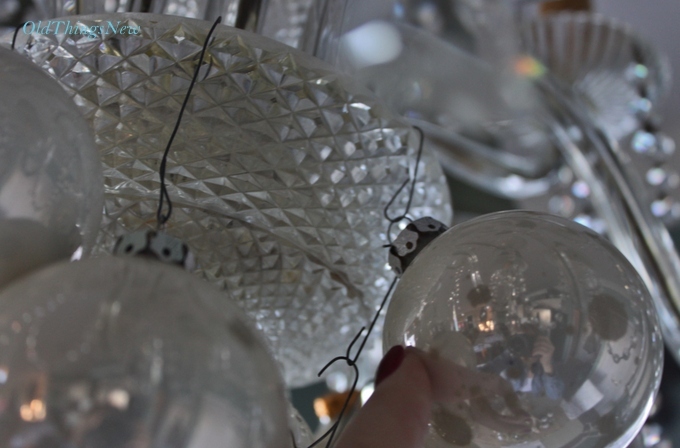 I tucked these larger, mesh covered balls up into the “arms” of the chandy to keep it from looking too bottom-heavy. Then I began wrapping the ribbon . . . very randomly! I wasn’t going for perfection here but a more “artistic” look . . .
. . . and trying to disguise any wires that were noticeable. After the ribbon was wrapped I played with it a bit to get it the way I liked it, tucking a few more balls here and there to balance everything out. 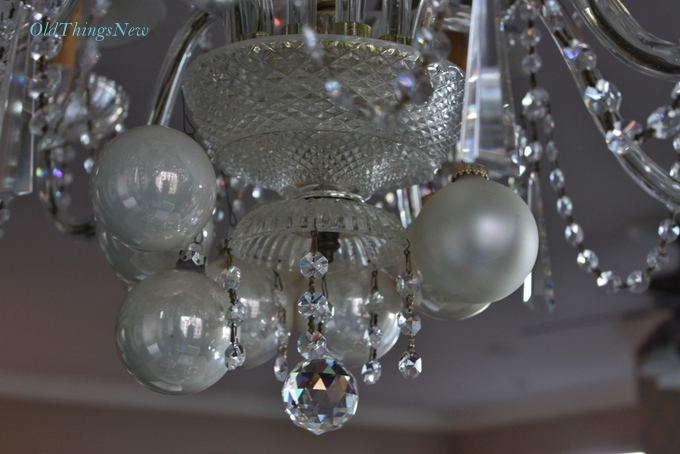 I ended up getting so many compliments and loving the look of my chandy so much that I kept it up all the way through Valentine’s Day. 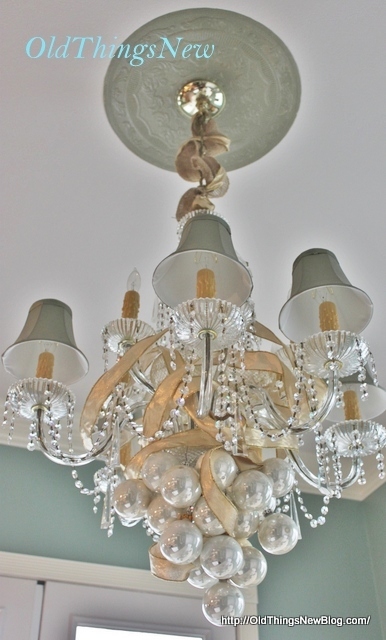 Today I had the absolute joy of decorating my chandy in our new house. 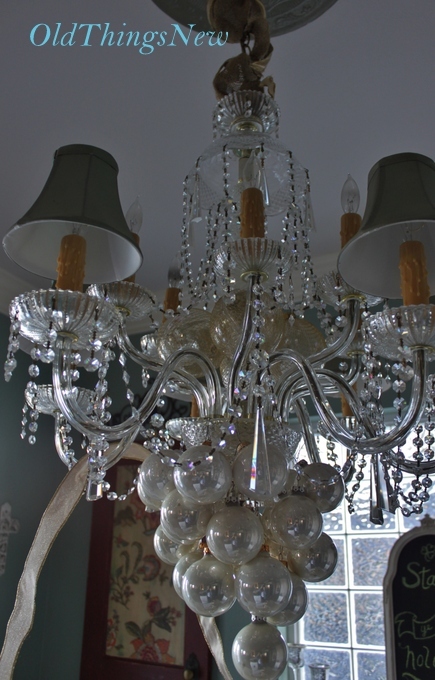 It is the same chandy that I’ve had since our first year of marriage but looks quite different in our new surroundings. Here she is hanging in our dining room, which is still very much a work in progress . . . with wallpaper coming down and a dining room table and chairs to be painted . . . so I’m only giving you a sneak peek. I shared in a previous post the one other thing in the room that I’ve finished for the dining room, a grey color-washed buffet. I’m really pleased with how it turned out! If you haven’t seen it already you can take a look right HERE. I hope you are enjoying the beauty of the Christmas Season. In spite of busy-ness, family drama, long lines, heavy traffic, things that don’t quite go as planned (we’ve had our own Very Griswold Experience this year! ), I hope you’ll take some time to enjoy, as with the innocence of a young child, the magic of the Season. Something really special is about to happen! Have a wonderful Christmas season in the south, Patti! Just beautiful! 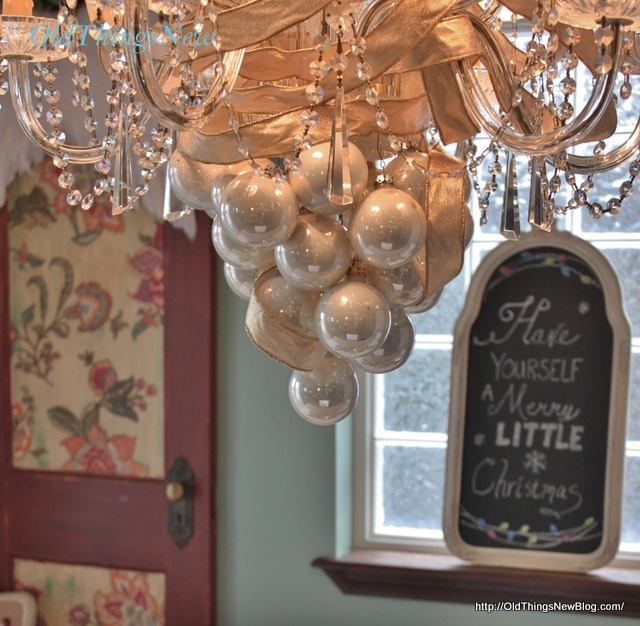 I love how the ornaments are clustered together – what a fabulous idea! Merry Christmas! Oh Patti, It’s beautiful! I love that you did the tutorial in reverse. That would be a little tricky for me to figure out. And, love the snow on your blog. Very fun. 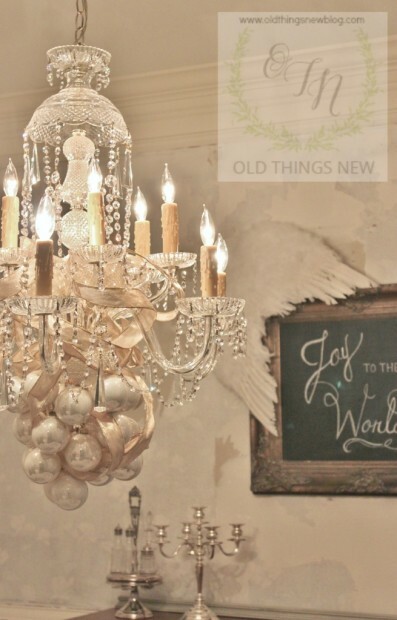 L O V E this exquisite Christmas Decor on your Chandelier, dear friend!!! 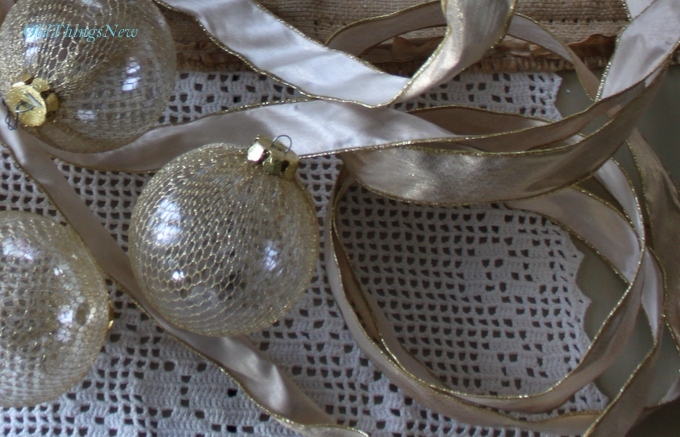 I adore the step where you hooked two ornaments together! That is not one I’ve attempted! Your candy turned out amazing! Thank you for sharing the ho two over at THT. 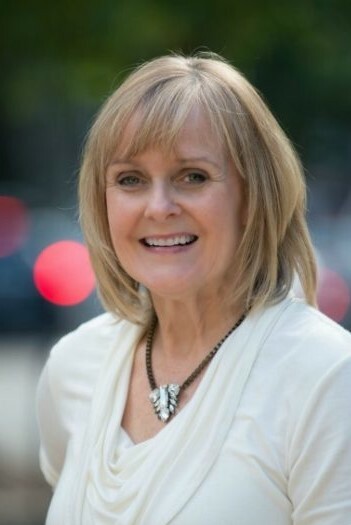 Patti…. I just can’t go past a gorgeous Christmas chandie. 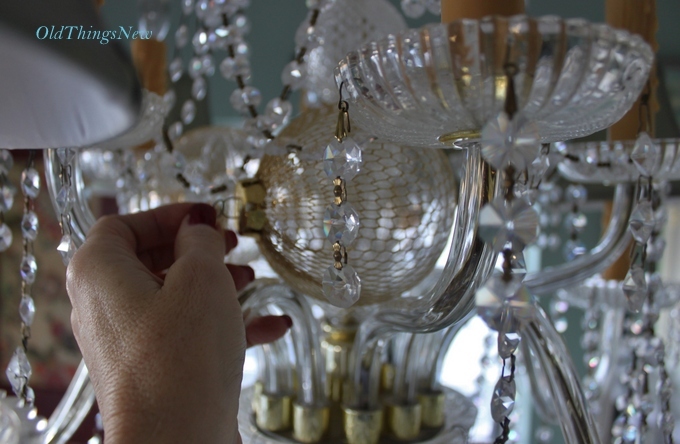 I have included this project in a special feature post for Shabbilicious Friday, which has just gone live. Thank you, Patti! 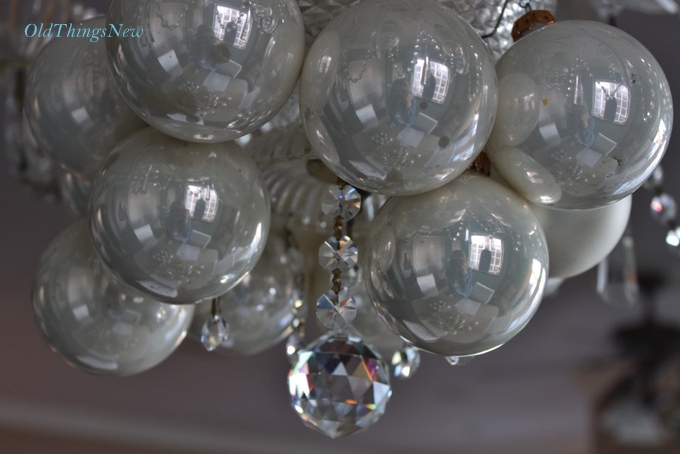 I was one of the admirers of your chandy last year and wondered how you did it. Thanks for the photos – you make it look so easy – and it’s so lovely! Merry Christmas!